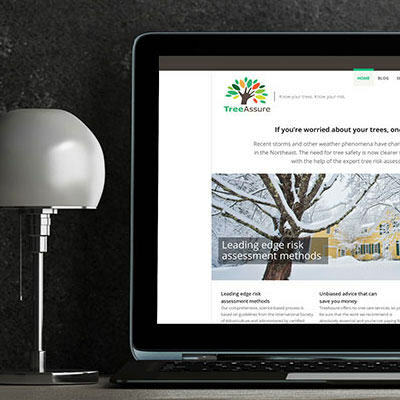 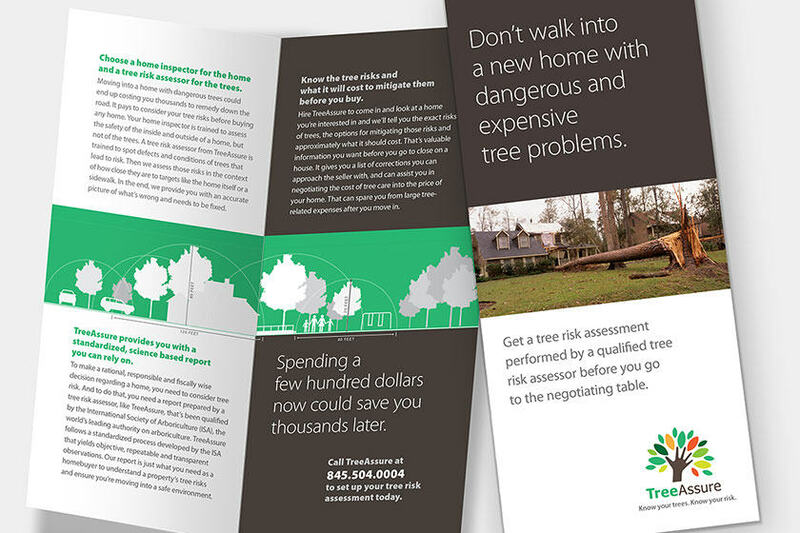 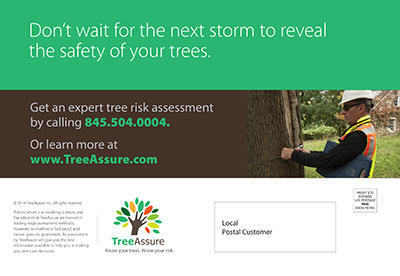 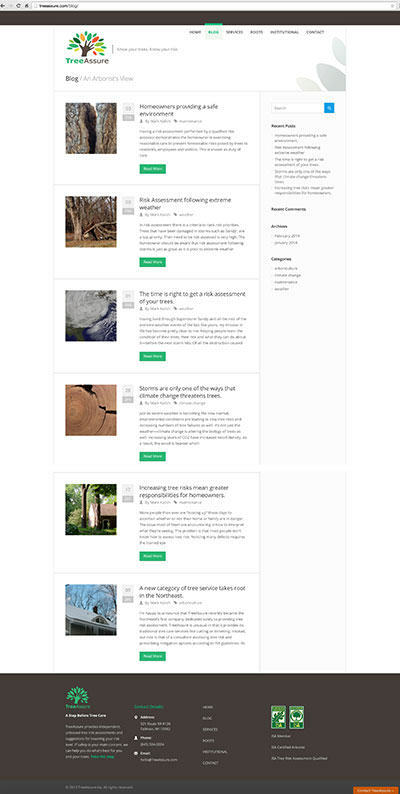 TreeAssure’s mission is to provide homeowners with unbiased, science-based risk assessment for the trees on their property. 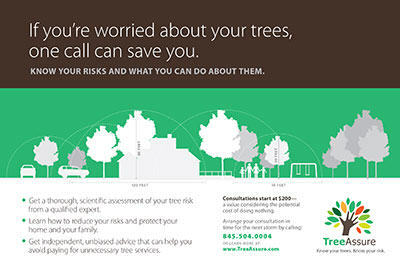 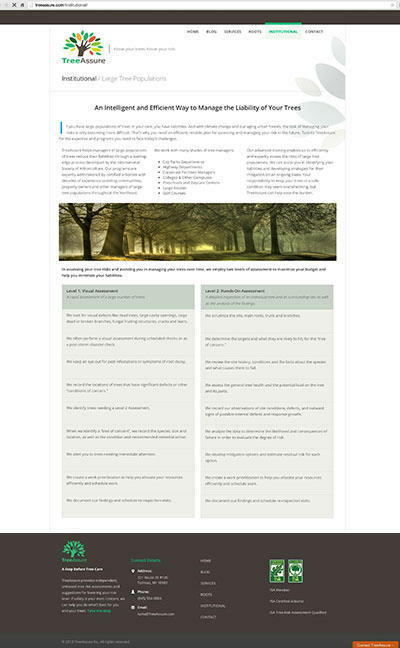 The company offers no tree care services, so any work recommended can be relied on as being absolutely essential. 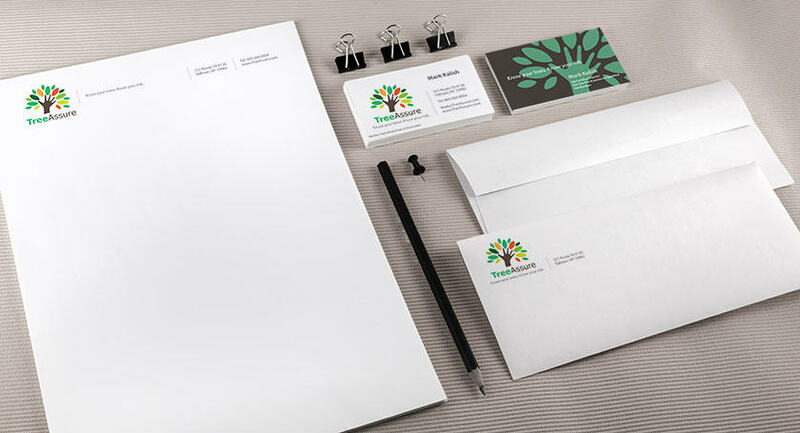 We were able to get owner/arborist Mark Kalish – as a new start-up with limited resources – off the ground with an identity package (logo and stationery), web presence, brochure and postcards. 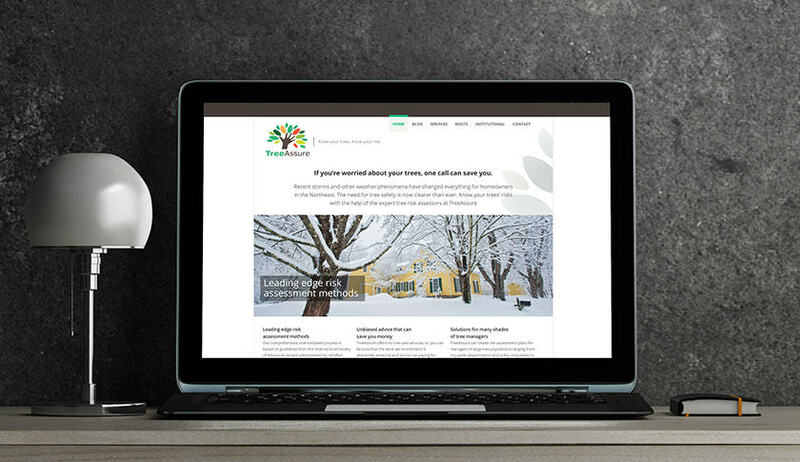 We conceived a simple illustration that clarified what his business was all about, helped with developing content, set up a blog, and got him started with social media, all on a very modest budget.